In ancient times, the sea was not something that separated one area of land from another or one city from another, but was rather something that connected them. 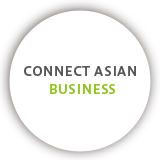 Enormous quantities of goods come and go daily along the sea and air routes of contemporary Asia; however, whether in ancient times or today, what connects one business with another are people. Until now at Setsuyo Astec, we have established bases in various parts of Asia and carried out activities based on opinions received directly from our customers. We have played a role as a hub connecting one business with another and we would like to continue to exist contributing to the development of our customers and also to that of the region. The figure below presents some of our business activities that "Connect".